K6JSS is a special call for the QRP ARCI Club. We volunteered to operate as K6JSS from Florida in the Florida QSO Party. We made this a club event at Panama City ARC. I had great help from Marv KK4DKT and Ron KK4DWE for ops and Don KK4DWC and Tom KK4TLC for logging. None of us are contest ops. I never did get much of a string going. Marv had a string of ten on SSB. I think the 38 SSB contacts were the most impressive because we were running 5 watts instead of 10 watts. I bet the exposure of the K6JSS call will click for most when they see it again on the web. We did have a time convincing a few that we really were in Florida. Most of the contacts were on my Icom 703. A few were on Marv's FT-897D. The antenna for 20 meters and 15 meters was a tri-band beam up 40 feet. On 40 meters we used a G5RV. I tried out a my new Tenergy 12.8V 10Ah LiFePO4 Rechargeable SLA Replacement Battery. I think the average current for FQP ops was right at 1 A. Note the IC 703 receive current is .55 A and transmit is 2 A. I think I got about 9 hours out of it or 9 AH out of a 10 AH battery. So this battery will cover any portable ops I do short of the 24 hours for Field Day. The battery weighs 2 pound and 10 ounces and can be charged by a regular SLA charger. See more photos. It was QRP fun! Our club members have started meeting on10 meters SSB Monday evenings. It is a challenge for everyone to hear everyone else. So I decided to try a vertically polarized antenna. I found a nice diagram for a 10 meter J pole at http://www.qsl.net/n1lo/10mjpole.pdf by N1LO. Very simple and I had the 450 ohm window line on hand. It is a half wave element over a quarter wave matching stub. The support I had in place was a "military" mast made from four foot fiberglass sections. I have a PVC pipe strapped to a post that guides the mast. Since the bottom is a little more than four feet off the ground I can add four foot sections from the bottom. I was able to slip an 18 foot Crappie pole through the neck of one of the four foot sections to extend the height. Currently I have 20 feet with the military mast plus 18 feet with the crappie pole for 38 foot at the tip. I just tapped the half wave and the stub starting at the tip of the crappie pole. The SWR showed a nice resonance point but it was below ten meters more like eleven meters. I folded over the wire at the tip to shorten it up. And finally all is good. I was able to talk to three locals for checkout and the one further north Don KK4DWC had an improved signal. He is using an A99 antenna we helped him out with. The vertical to vertical contact was working well. When he switched to his G5RV he dropped about three S units. Note Marv KK4DKT near by also built the J Pole. He got his up and working first. His SWR was perfect right off the bat. Good Job Marv! I'll be operating K6JSS/BAY for the Florida QSO Party from Bay County FL. 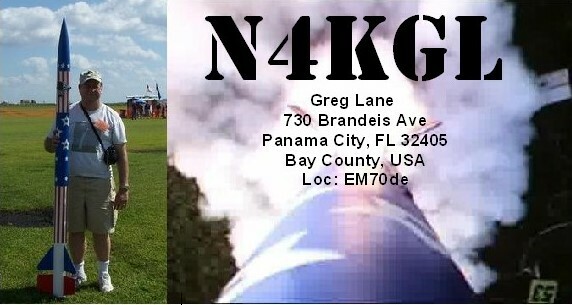 I will be at the Panama City ARC club house and take advantage of the tri-band beam. I'll have assistance from our club members. We will operate SSB and CW at 5 watts. Saturday we will start on 20 meters. Sunday AM we will start out on 40 meters. Note there are no 80 meter ops. On Saturday I started at the rocket launch Samson AL. So I spend a about 30 minutes operating from the field and got five contacts on 20 meters. I was using my ICOM 703 at 4 watts with about a 40 foot wire sloping to a fiberglass pole. The wire was connected to the IC-703 using a Balun Designs 9 to 1 Balun. I had about 20 feet of counterpoise on the ground side. This configuration will tune up on most bands with the IC 703 internal tuner. There was nothing scientific about the wire lengths. I continued on Sunday from my parents home in Dothan. I have a 135 foot OCF dipole there. I finished out with 27 contacts. The SPCs were 20M TX(3) MI(3) ON(3) MN SD MO VA(2) NE WI NM AZ(2) PA KS CA ME IN FL 15M AZ(2). It was fun to work K7CHS Rick in Kingman AZ on both 15 and 20 meters. I took advantage of the SKCC Week End Sprint that was also operating. I could count those if I got their power. It felt good to get some QRP operating in the logs. I was pleased to have a visit Sunday PM from Thomas WD0HBR who lives in Dothan.